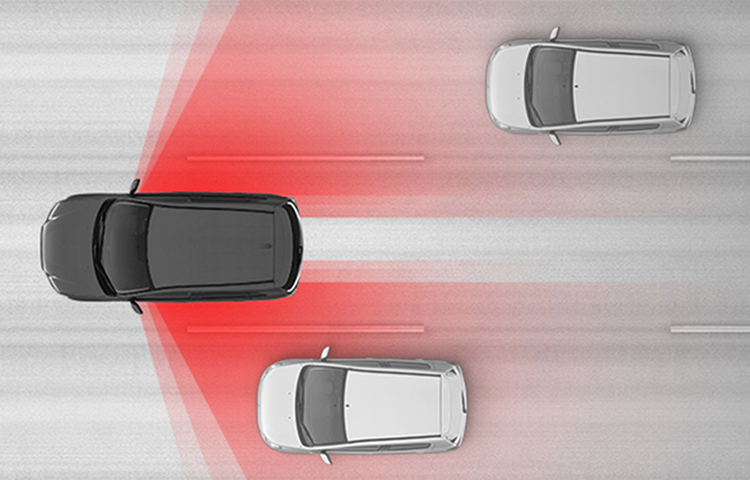 The available Blind Spot Warning (BSW) and Lane Change Assist (LCA)2 systems work together to alert you when a vehicle is in, or approaching your blind spot. If a vehicle in the next lane is traveling at the same speed or faster in the detection areas, a warning light will illuminate in the corresponding side mirror. If your turn signal is on, the warning light on that mirror will blink and the system will beep three times to alert you that it is unsafe to change lanes. 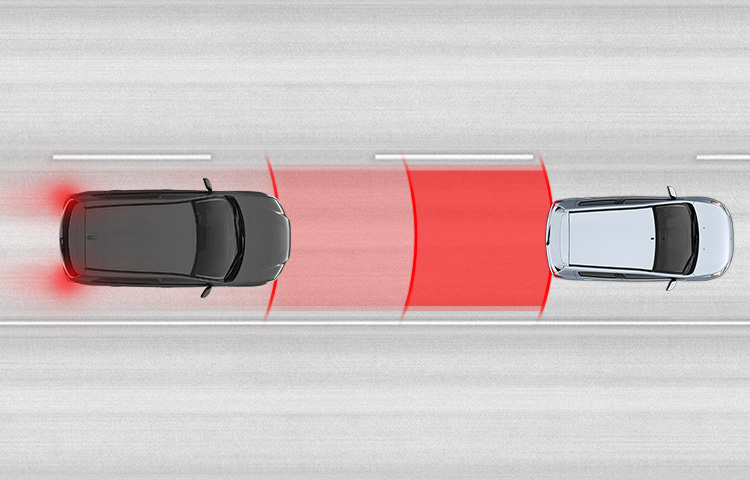 The available Rear Cross Traffic Alert (RCTA)2 system detects a vehicle approaching from either side while backing up. If a vehicle is detected warning lights blink on both side mirrors, a buzzer will sound to alert you, and a warning message will appear on the information screen of the multi-information color display. 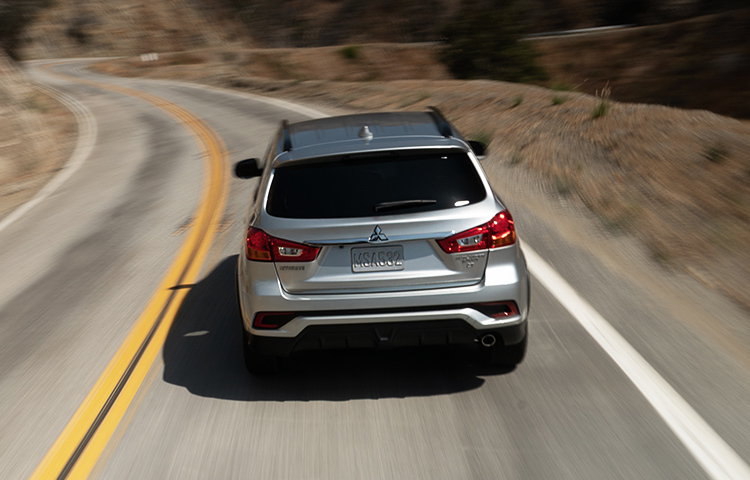 Get a wide-angle view when you shift in reverse with the new standard rearview camera system4. 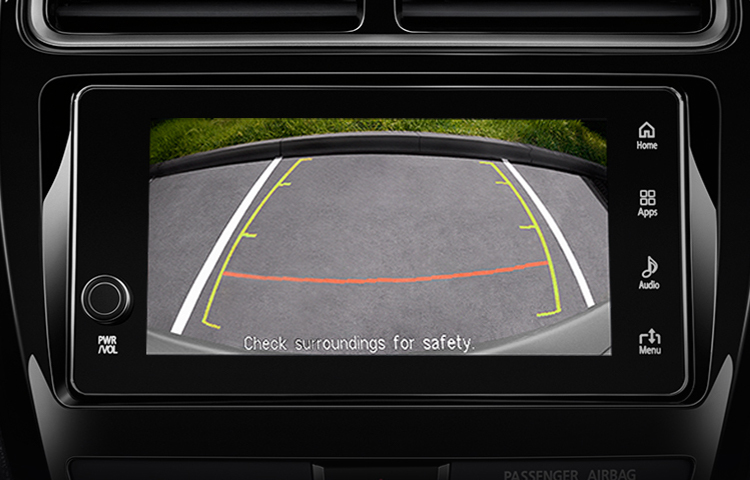 The onboard screen helps you safely back out of a driveway. 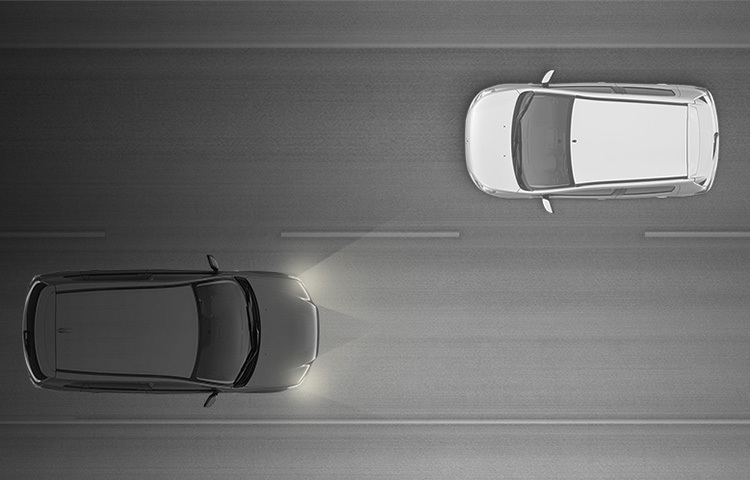 The Lane Departure Warning (LDW)5 system uses an onboard camera to monitor lane position in front of the vehicle, audibly and visually alerting the driver if it detects the vehicle leaving its lane unintentionally. In addition to six standard airbags6—including front, front-seat-mounted, and side-curtain airbags—the Outlander Sport adds a seventh underneath the driver's side dashboard. You don't have to worry about switching between low and high beams when driving your new crossover in sporadically lighted areas. Your Outlander Sport's Auto High Beam Headlights7 will do the work for you by automatically adjusting between the brightness levels depending on the surrounding light. Maintaining visibility on the road is important. 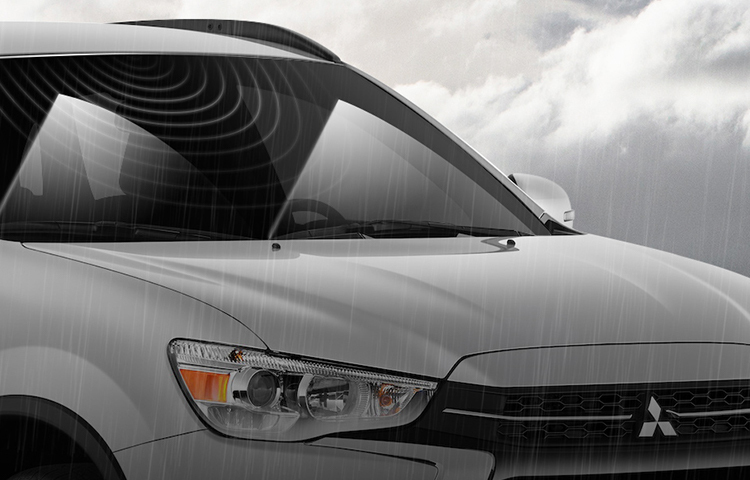 The available automatic rain-sensing windshield wipers activate at the first sight of rain and adjust to match the frequency of rainfall so you can continue to focus on what's in front of you. 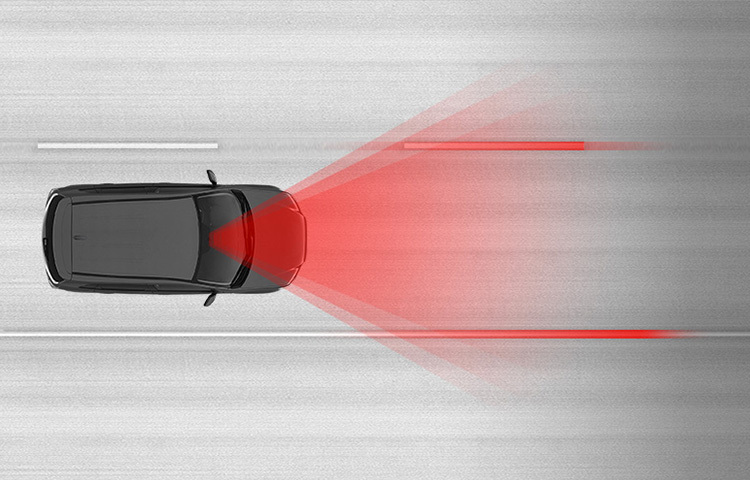 The Forward Collision Mitigation (FCM) system8 utilizes both laser radar and camera technology to determine if a frontal collision with a vehicle or pedestrian is imminent. If so, it warns the driver with audible and visual signals, and automatically applies moderate to emergency braking to reduce the severity of the collision and, if possible, prevent the collision. 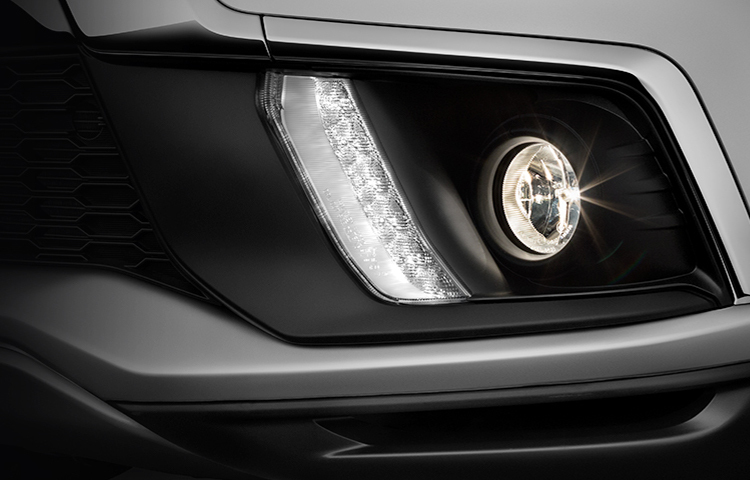 Stand out with LED daytime running lights9 that offer distinct style and increased visibility on the road. When it snows or rains, the fog lights9 will beam through to help give a clearer view of the road ahead. 2 Optional Feature. The Blind Spot Warning, Lane Change Assist and Rear Cross Traffic Alert systems are driver aids only and are not substitutes for safe and careful driving. Under certain circumstances, these systems may not detect other vehicles correctly. 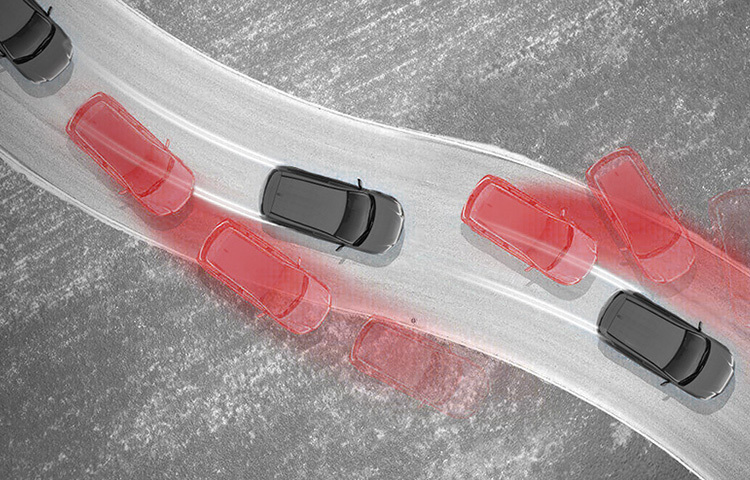 3 The Adaptive Cruise Control system is not a collision avoidance system or an automatic driving system. It is designed to use only limited braking and is never a substitute for safe and careful driving. Never rely solely on the Adaptive Cruise Control system. 4 The Multi-View Camera system is a driver aid only and is not a substitute for visual confirmation. The view on the screen is limited and objects outside that view will not be seen. 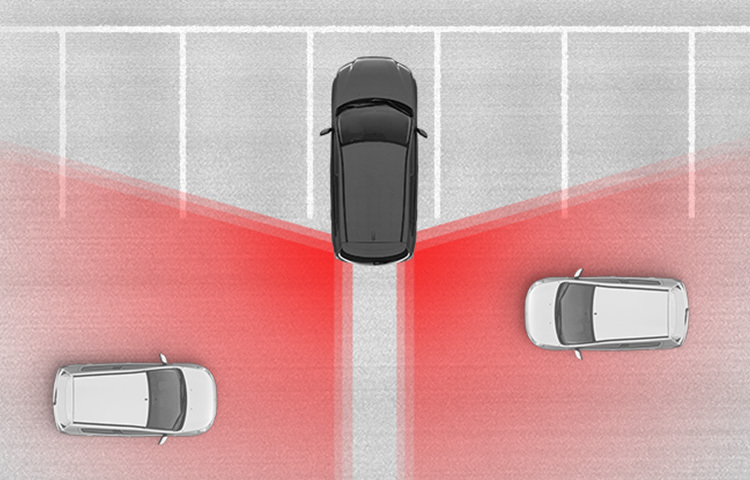 5 The Lane Departure Warning system is designed to read the lane marks under certain conditions. It is not a collision avoidance system and is not a substitute for safe and careful driving. 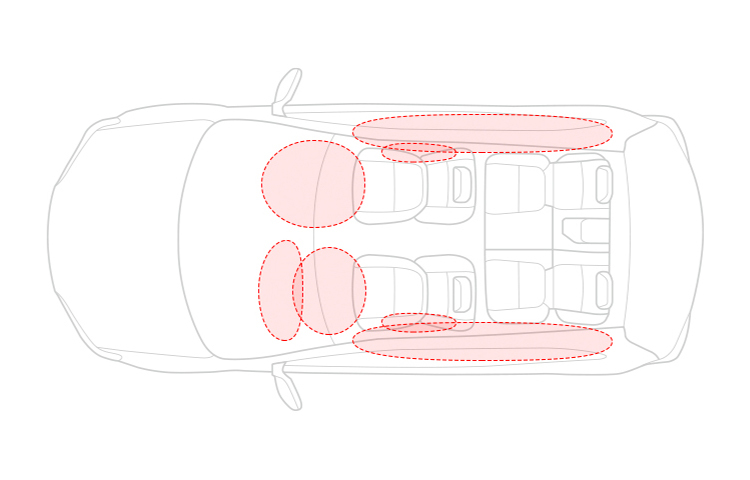 6 Airbags are part of a Supplemental Restraint System (SRS). To decrease the risk of injury from a deploying airbag, always wear your seat belt, sit upright in the middle of the seat and do not lean against the door. Always place children 12 and under in the rear seat and use appropriate child restraints. Never place a rear-facing infant restraint in the front seat. See your owner's manual and the instructions provided with your child restraint for additional information. 7 The Auto High Beam Headlights system is a driver aid only. Factors such as a dirty windshield, variable weather, changing light conditions, or hilly terrain, may also affect system performance. 8 The Forward Collision Mitigation (FCM)/Pedestrian Detection (PD) system is a driver aid only and is not a substitute for safe and careful driving. Under certain circumstances, the system may not detect other vehicles and/or pedestrians correctly. 9 Available in SE and GT models.